Motherhood. Faith. Keeping it real. It’s here: the final season of Downton Abbey. I’m going to miss it when it’s gone. This show has brightened my Januaries since its premiere five years ago, letting me slip away from my suburban Silicon Valley existence and immerse myself in a world of tea trays and titled gents. I’m not alone in my love for this series. It has a broad base of support, appealing to viewers of all kinds. But I happen to think that moms have a particular affinity for the saga of Lord and Lady Grantham, their family, and their servants. I think it appeals to the mom-demographic for a few very specific reasons. 1) We moms harbor fantasies of living like Lady Grantham. I don’t know about you, but I dream of a world where I have breakfast in bed every day, not just on Mother’s Day. I fantasize about being able to ring a bell and have other people bring me anything I need (or, more to the point, anything I want), be it a cup of tea or a freshly-ironed dress. And don’t even get me started about living in a beautiful house that I don’t have to clean myself. 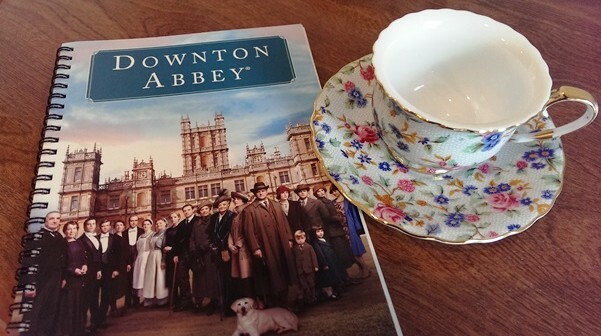 Downton Abbey lets us vicariously indulge in a pampered life, one that looks mighty appealing to the modern mom. 2) The show reflects our much-less-glamorous reality. As much as Downton Abbey feeds our fantasies about doing nothing more pressing than deciding what to wear for dinner, it also reflects what our lives really do look like. We moms can relate to the servants who zip around below stairs and behind the scenes, keeping the house running smoothly. We understand the frazzled feelings of Mrs. Patmore as she frantically bangs lids onto pots and tries to get dinner done on time. We all know that feeling of having to drop what we’re doing and help someone else. We don’t answer to the ding of a bell calling us to the drawing room, but we know how it feels to be summoned by the newborn who needs to be fed or the child who desperately needs help with a math problem. Putting others’ wishes above our own? We get that, we moms. We know how it feels to live a life of service. You can read the rest at CatholicMom.com! This entry was posted in Articles and columns, Musings. Bookmark the permalink. I write about faith, real life, and how the two intersect. Check out my latest book Taste and See: Experiencing the Goodness of God with Our Five Senses. Pray as you can, not as you can't. Visit Ginny's profile on Pinterest.